WARNING! 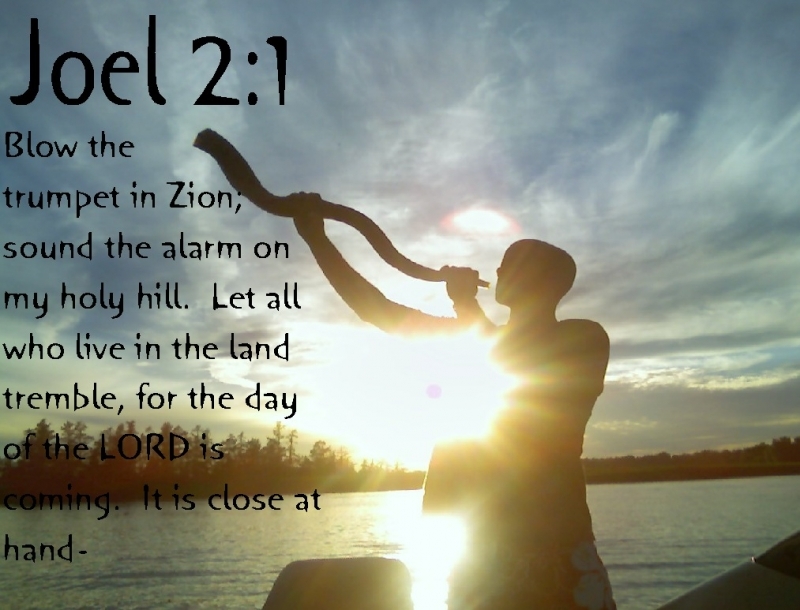 LISTEN TO THE TRUMPET OF LIFE! The Watchman (Ezekiel 33) has a great responsibility. The watchman’s duty is to warn others of coming danger. He needs good eyes and he needs to be alert to danger. He has to see before all others and he has to see just one thing: the Sword of God. He ignores all things and counts them as distractions. But if he sees the Sword, he is to immediately blow the trumpet. Then his work is done. In the past, if a watchman in the army is found sleeping on duty, he was to be killed. The lives of all others depended on him. Anyone who listens to the sound of the trumpet and takes cover will live. Anyone who ignores the sound of life will die. The word ‘sword’ in Hebrew means death. It also means drought or poverty. God warns the rebellious that if they don’t repent, they will die poor. That is the sword of God. Repentance means prosperity and life. Rebellion means poverty and death. Many people, families and nations dared to ignore the warnings of God and His Sword and became poor and wretched. No amount of labor can change that. The Sword of the Spirit has spoken. God does not take joy in the death of the wicked. Repent! There is a group of people who generally ignore the warnings of the Word of God. To them, worship is just singing, preaching is poetry, and prophecy is entertainment. The root of this foolishness is the stronghold of mammon competing with the God for the throne of their heart. The love of money hardens the heart to the Word of God and its warnings for repentance. These are some people who took the warning of God and lived are the wise men looking for baby Jesus, Joseph, the husband of Mary and Noah, who built an ark and saved his family (Mt 2:12-14; Heb 11:7). But there are some people who refused to take the warnings of God; like Nebuchadnezzar and almost all the kings of Israel who rejected the prophets (Dan 4). This reminds me of the beautiful sound of the horn that I heard at Father’s House. I am already longing to return so that I can hear the horn again!